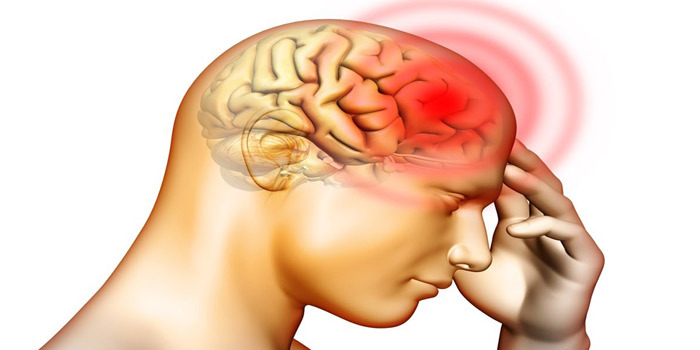 A cerebral hemorrhage is one that occurs within the brain tissue. A brain hemorrhage is one that is caused by an artery in the brain bursting which causes internal bleeding throughout the surrounding tissues. This kills brain cells, and it is considered as a type of stroke. It can be caused by several factors such as trauma to the head, high blood pressure, an aneurysm, abnormalities in the blood vessels, and brain tumours. A patient may recover from this, depending on the size of the hemorrhage and the amount of swelling. Symptoms vary depending on the location of the bleeding, how severe the bleeding is, and how many tissues were affected as a result of this. It may happen suddenly all at once, or gradually over time. Some patients’ cases improve over time, while others can worsen becoming more severe. Symptoms include a sudden severe headache, seizures, weak arms or legs, nausea, decreased alertness, changes in vision, difficulty swallowing, poor coordination, and an abnormal taste in the mouth. When treating a brain hemorrhage it is important to call 911 immediately as it can be life threatening and severe. It is also important to consult a doctor immediately to learn which parts of the brain were affected. There are a variety of imaging tests that may be done to test this, such as a CT scan. This will reveal any internal bleeding showing where in the brain this is happening. An eye exam and neurological exam show swelling of the optic nerve. If bleeding is quite severe, surgery may be needed to alleviate swelling and bruising. Medication such as painkillers help to alleviate pain, while other medications can help to reduce swelling and control seizures. For example, if your brain hemorrhage caused poor coordination you may qualify for a walk impairment. In this case, a patient must be unable to walk 100m (a city block) or it must take them an inordinate amount of time (3 times longer than normal) to do so due to pain. This will likely apply to those with this disability, as the high arch causes mobility issues and pain in the feet. How To Apply for Disability Tax Credit for Cerebral Hemorrhage?